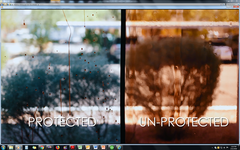 (PRLEAP.COM) SCOTTSDALE, Arizona-Unelko Corporation, a 3rd generation, family owned business and a leader in the development of advanced nano-scale surface care technologies, is pleased to offer a limited 15 year warranty on proprietary Invisible Shield® PRO 15 protective glass coating for the protection and preservation of interior and exterior glass. Mark Evitt, Managing Director of APQ Limited and a master distributor of Unelko's products throughout Asia, Australia, and New Zealand, said Unelko is committed to offering the industry's finest glass cleaning, protection and aftercare products, and will tailor a glass protection program suited to their customers' needs. 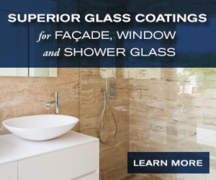 APQ distributes AGC glass and exclusively Unelko's surface treatments and products. "We have had a long relationship with Unelko using and distributing their cutting edge nano-technologies for use on glass surfaces of all kinds in many environments," Evitt said. 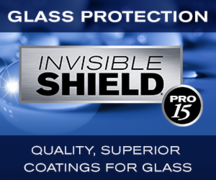 "The exceptional quality of Unelko's products, combined with their unmatched value, has allowed APQ to be extremely competitive and helped us to earn the trust of many of the most prominent names in the glass industry." Recognized as the world leader in Advanced Glass and Surface Care Technologies, Unelko has focused on the preservation, enhancement and "preventive cleaning" of residential and commercial glass including architectural glass, facades, windows, partitions, walls, skylights, shower doors, tile and other vitreous china, solar, automotive, aeronautical and marine glass applications.